Welcome to And Finally, your round up of the biggest stories of the week you might have missed – with a healthy dose of speculation and rumour thrown in as well. We’ve ended up being a little Apple heavy this week – with a bevy of stories coming out of Cupertino, both positive and negative. So let’s not beat around the proverbial, and get stuck right in. There have been some negative headlines around Apple this week, as it was discovered that some iOS fitness apps had been stealing money using Apple Pay. Fitness Balance and Calories Tracker charged upwards of $100 after duping people into using their thumbprint to take a BMI test. Apple has removed the apps and refunding users. Check out our guide to the best fitness trackers for 2019 you can buy. It feels inconceivable that there are banks out there not on Apple Pay, but the company has added eight new banks to its service – including Bank of America in Canada. This comes hot on the heels of the service rolling out in a host of countries last month, including Belgium and Kazakstan and Germany is set to get Apple Pay before the end of 2018. Check out our complete guide to the Apple Watch and also our how-to set up Apple Pay. We’re big fans of Facer for those who want to get access to brilliant smartwatch faces (they support over 50 watches including most Wear OS and Samsung devices), and there’s been a big overhaul on the service. There’s now a subscription service which gets you access for just $5 per month, and now iPhone users can take advantage too. Head over to Facer to check them out – or check out our guides to the best watch faces for Apple Watch and top faces for Wear OS. That’s right. IDC figures released this week show that Fitbit and Apple are getting their wearable butts kicked by Chinese upstart Xiaomi – at least in terms of pure shipments. The peddler of cut-price trackers has sold 6.9 million units in Q3 2018, compared to 4.2m for Apple and 3.5m for Fitbit – in a period that saw 22% year-on-year growth for wearables. However, given Xiaomi’s tracker costs around $40 and Apple and Fitbit’s cost significantly more…we’d say the West Coast wearable makers won’t be too unhappy. Check out our guide to the best budget fitness trackers. Apple’s long-awaited ECG feature dropped in the US this week, courtesy of an over-the-air update. 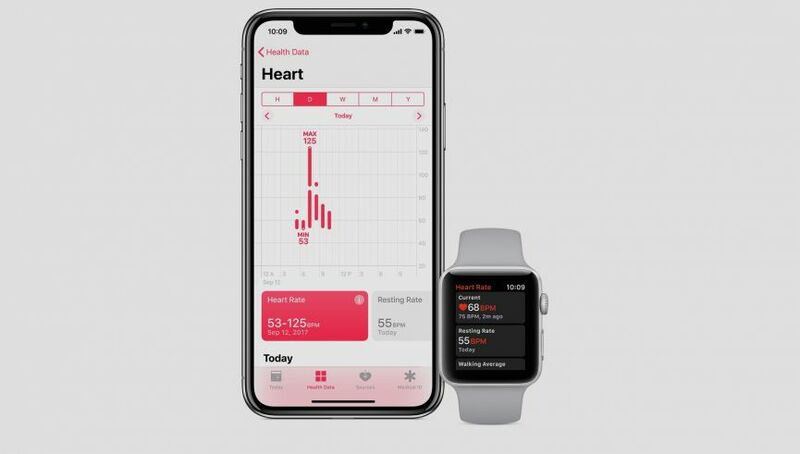 watchOS 5.1.2 brings the ECG joy, which can classify an ECG recording into atrial fibrillation (AFib) and sinus rhythm – which Apple says can help identify dormant health problems. Check out our guide to Apple’s heart rate monitor and our explanation on how the ECG feature works. Bellabeat is launching its first smartwatch – the Bellabeat Time - a hybrid smartwatch based on a quartz movement designed for women. Available in silver or rose gold options, Bellabeat Time runs on a standard watch battery, giving you six months battery life. It has fairly standard fitness tracking features, but will additionally monitor meditation and menstrual cycles to offer a more comprehensive overview of your overall wellbeing.